"It does have a very nice post shave feel. You can feel the quality of those ingredients, how well balanced it is. I would absolutely recommend it." ingredients that made my face feel smooth and relaxed afterwards." "Very slick right away and lathers quickly. The post shave is just as perfect. who haven't tried it yet." "Hawaiian Shaving Company has a nice thick lather that feels good on your skin." "The coconut, kukui nut, and essential oils really leave your face feeling good after the shave." 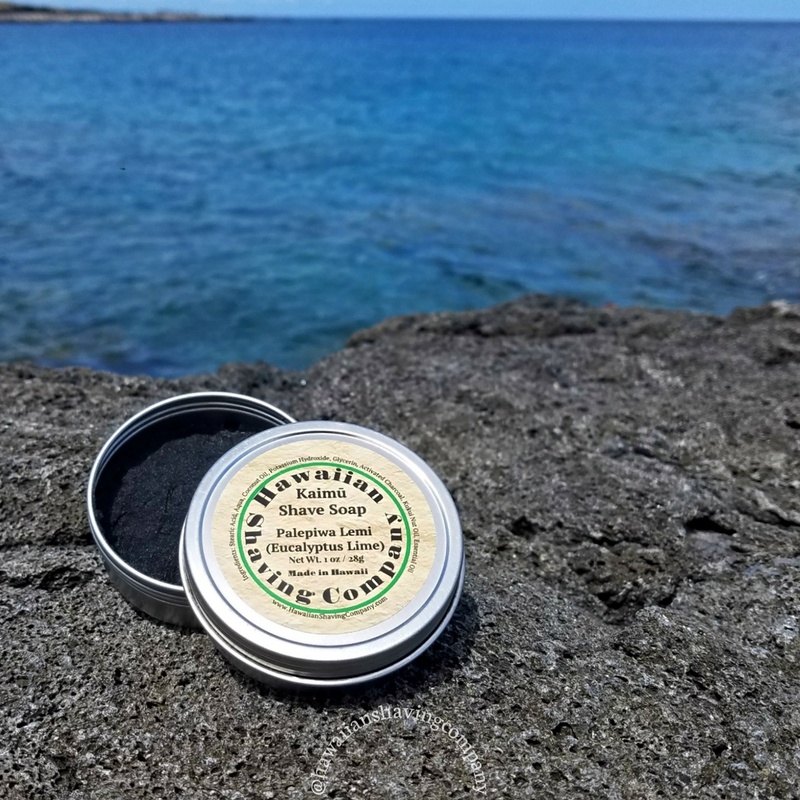 Named after the black sand beach on the Big Island of Hawaii that was destroyed by a lava flow from Kilauea volcano in 1990, this black shaving soap looks like the lava in the tin, but lathers up white. Kaimū means “Gathering at the sea” in Hawaiian, and was a popular beach famous for its black sand and abundant coconut trees. Our vegan black soap is also rich with coconut oil, and activated charcoal made from coconut husks. What we like about after shaves is how they soothe irritated skin. What we don't like about them is how they leave skin feeling oily or greasy. We fixed that. 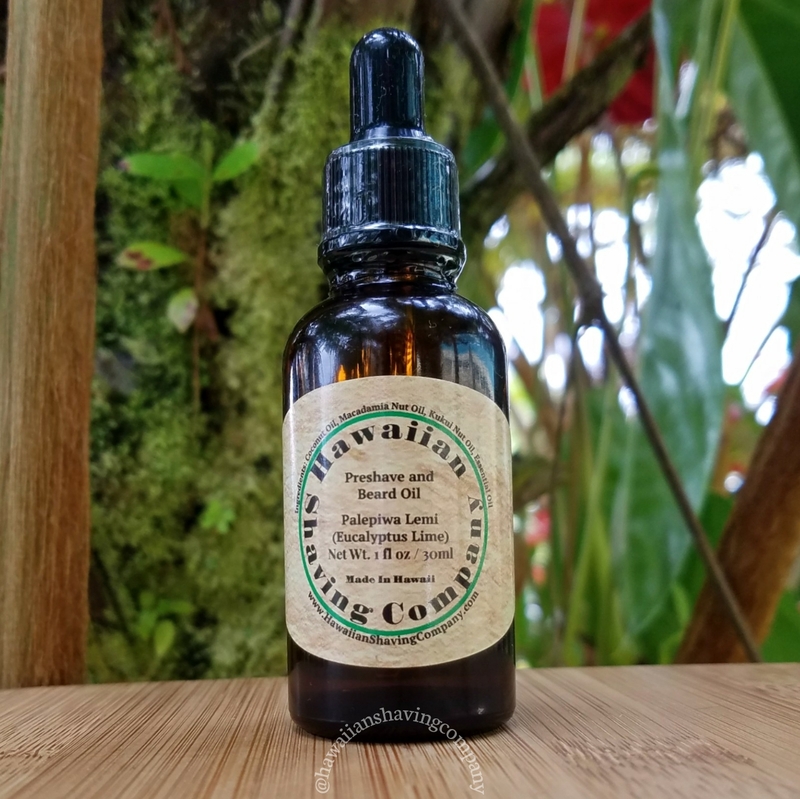 With aloe for healing and kukui nut oil for skin conditioning, our alcohol free after shave contains ingredients that have been used by Hawaiians for centuries. A good skin and beard care regimen requires ingredients that penetrate skin and hair to nourish and protect. We made an oil blend that can work for both. 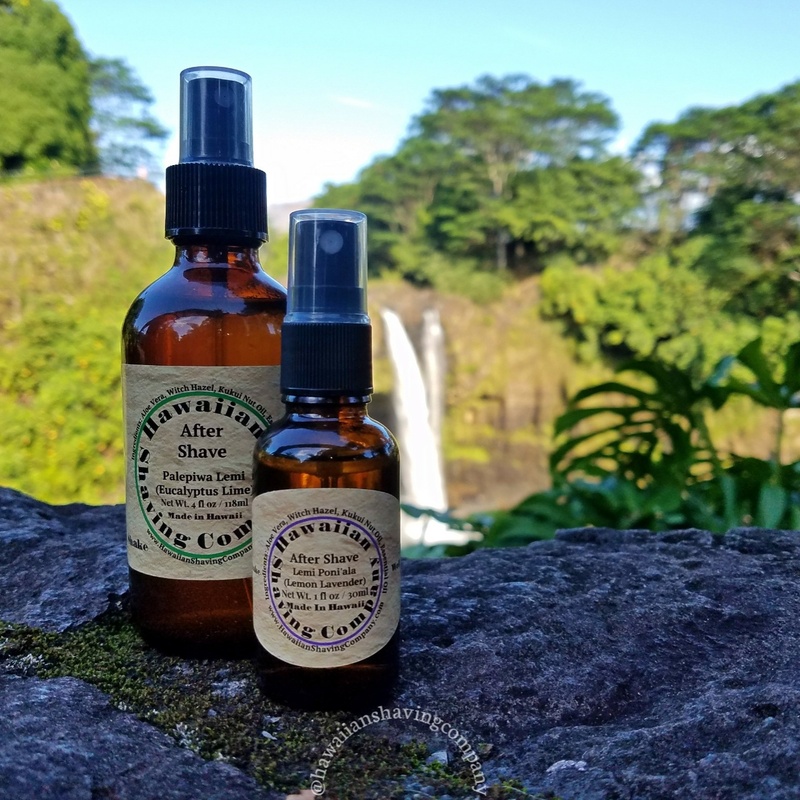 Macadamia nut oil and kukui nut oil are non greasy, contain vitamin E, and are easily absorbed into the skin and hair to provide healing and conditioning without clogging pores. and individually numbered. The wood is hand-sanded with Kukui Nut Oil in the ancient tradition for shaping and waterproofing canoe hulls and surfboards. Finally, the brush handle is sealed with cyanoacrylate, wet sanded, and polished to a high gloss for lifelong protection and beauty. 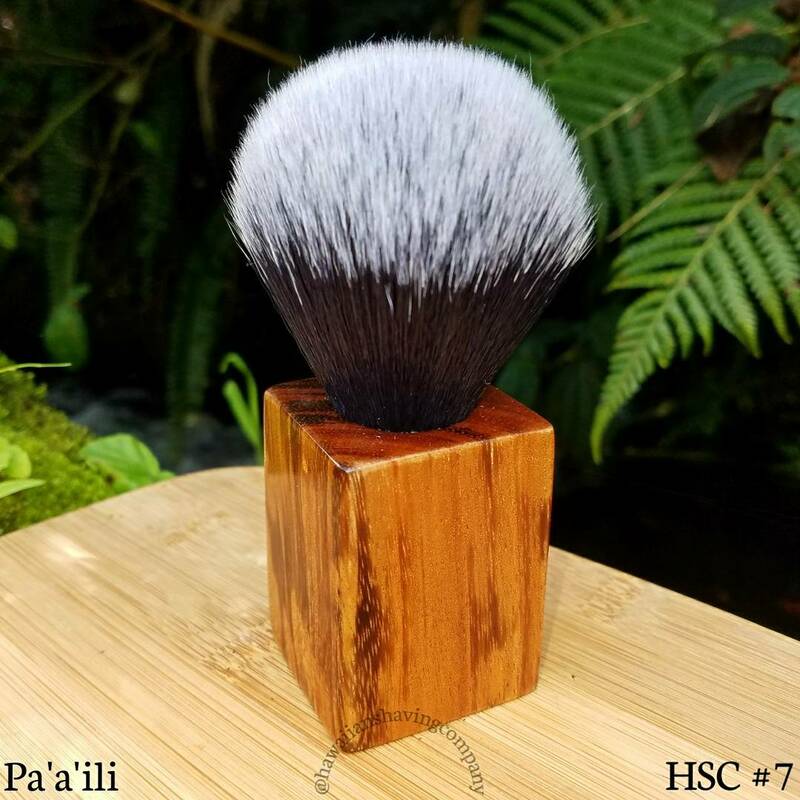 These brushes are equally at home in your shave den for daily use, or displayed as a piece of handcrafted Hawaiian art. 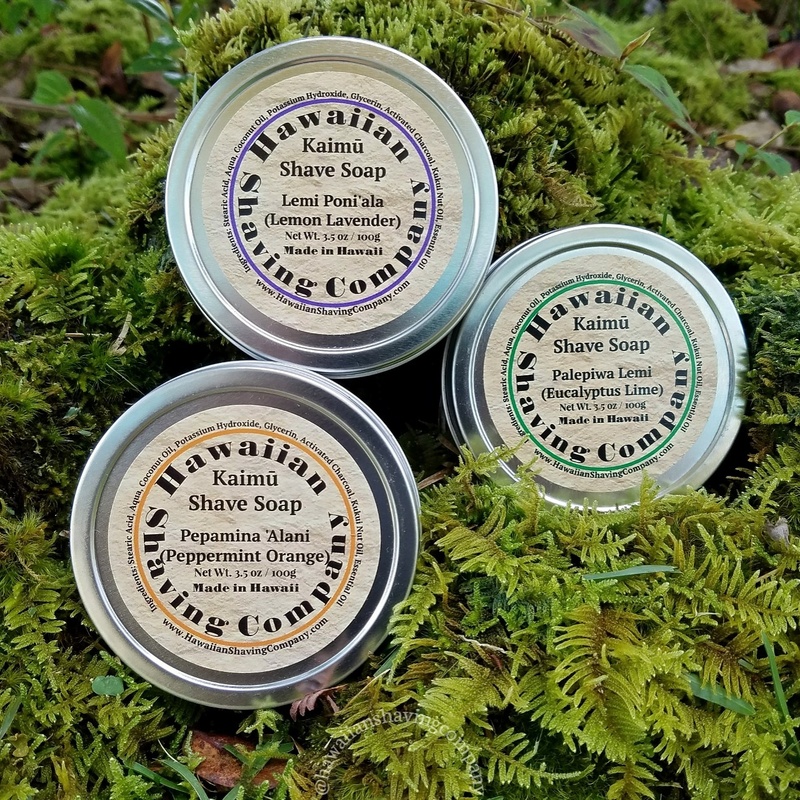 We wanted to make natural wet shaving products using ingredients that have been used by Hawaiians for centuries. No sulfates, perfumes, or parabens. Just natural ingredients scented with essential oils.